Many factors contribute to the health and appearance of your skin. Diet, genetics, age, the environment, and your daily skin care routine determine how well your skin looks. Facial chemical peels are a great way to rejuvenate your skin and give it a boost. People with both normal and problem skin can benefit from regular facial peels. A chemical peel is an acid-based solution that is applied to the skin to remove the damaged upper layer of skin. Chemical peels help to reduce the appearance of wrinkles and fine lines, acne scarring, sun damage, uneven pigmentation, freckles, and rough patches. Chemical peels are generally used on the face, although they can be used on other areas of the body, such as your hands and neck. One of the most common types of chemical peels is an alpha hydroxy acid (AHA) peel. The active agent in an AHA peel is glycolic acid, which is a naturally occurring enzyme found in milk, sugar cane, and tomato juice. Your Aesthetician will determine the correct formulation of the chemical peel most suitable to your needs. She will cleanse your skin with a gentle facial wash and then apply the chemical peel solution to your skin. The peel is left to work on your skin for the prescribed amount of time, generally anywhere from 10-30 minutes. You may feel some warmth and tingling from the solution as it works its way into your skin, but it is a generally painless procedure. After the appropriate amount of time, your practitioner will rinse the solution off your face and apply a light lotion to sooth your skin and promote healing. You may experience slight reddening and sensitivity over the next day or two, so treat your skin gently. Always apply a moisturizer after cleansing, and avoid direct sunlight. Call us today and give your skin the glow it deserves! 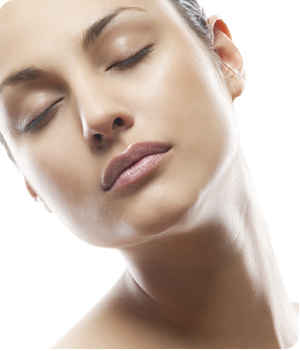 Save 20% on all chemical peels with our VIP FACIAL MEMBERSHIP. Great Post. You are having really Lovely Blog.If you want to know more about this topic than visit here Chemical Peels in Mumbai .